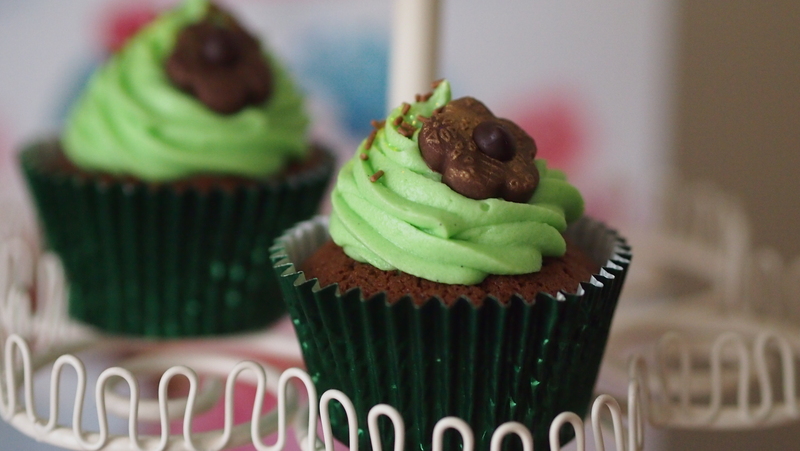 A classic that works: Chocolate-Mint After Eight Cupcakes (All-in-one method) | When Judit bakes...bread and better.. Classics work. And for a good reason: they are very tasty. 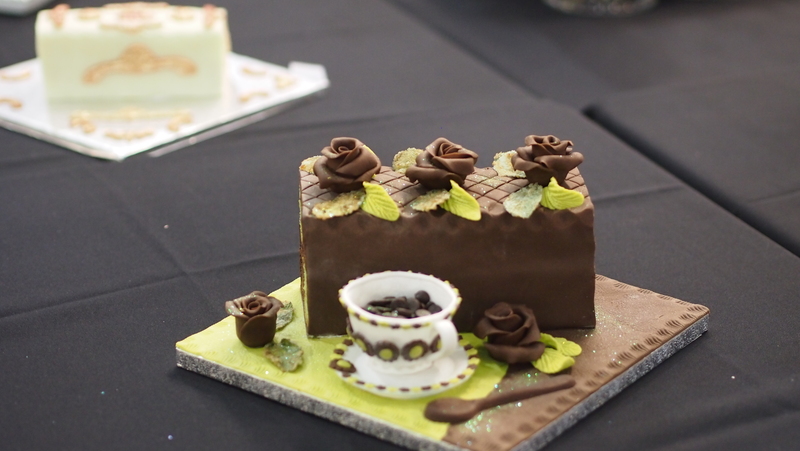 Spiced with all that presentation, looks and occasion can give, good confectionery always returns to the ultimate skill: creating sensational tastes. Making this cupcake is FUN. Decorating this cupcake is excitement. Taking images of this cupcake is art. Eating this cupcake is sheer heaven. Preheat the oven to 180C and line the tin with the muffin cases. The next step could not be simpler : just put all the ingredients in a bowl and then whisk till smooth. Pulse while adding some milk if needed to make for a soft, dropping consistency. This mixture is exactly right to make the 12 cup cakes, I measure 40 gr of batter to fill each cases equally. 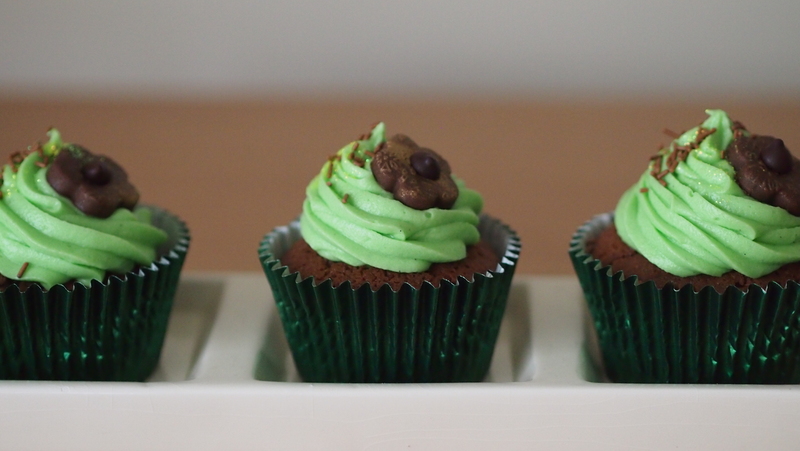 Put in the oven and bake for 20 minutes or until the cup cakes are cooked and golden on top. 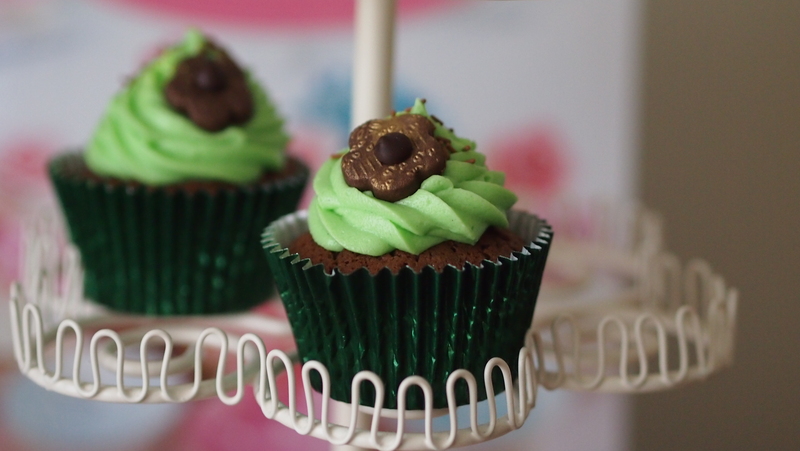 Whilst cakes are baking whisk the ingredient of frosting, can be coloured mint green. 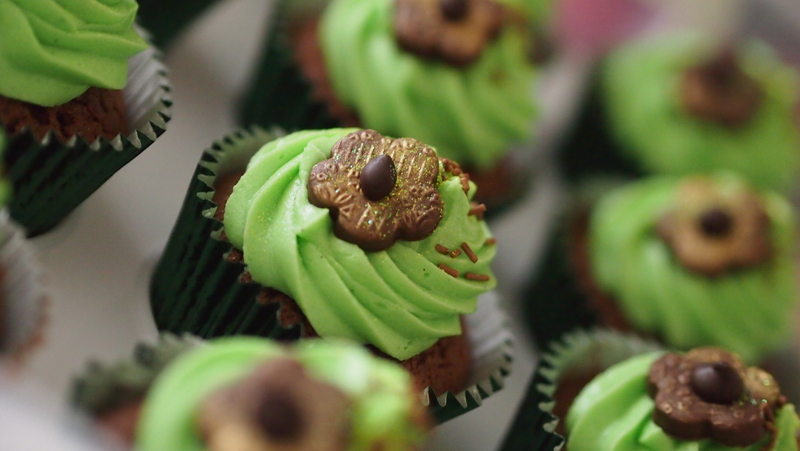 After cakes baked, as soon as bearable, take the cup cakes in their cases out of the tin and let cool, right way up, on a wire rack. Once they’re cool, decorate by choice. 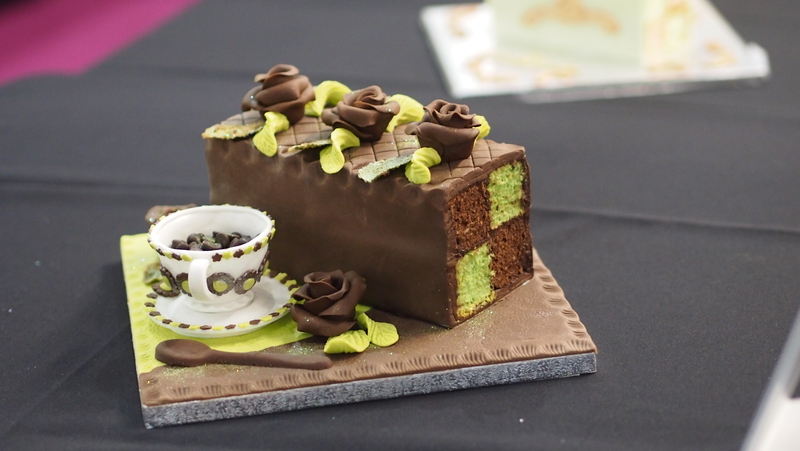 This entry was posted in Baked treats, Baking shows and demonstrations, Cakes, Cupcakes. Bookmark the permalink.